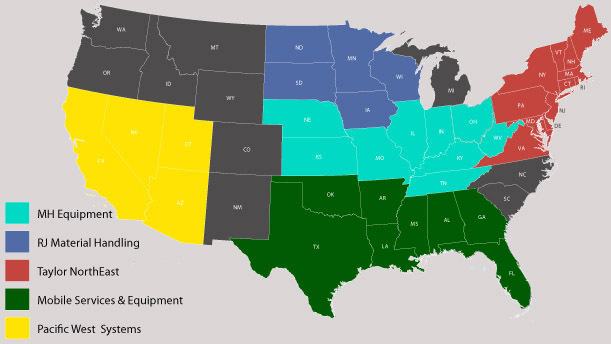 In addition to our existing dealers such as Pacific West Systems, Tractive Power Corporation is pleased to announce the signing of the following dealers in the US. MH Equipment, Mobile Services and Equipment, and RJ Material Handling. This is a significant milestone for Tractive Power as it not only confirms the viability of our product offering but also with these dealers, we are the only spotter locomotive company to have direct representation in 37 US states and Canada. We are looking forward to building our business with the dealers we now have in place and expanding our dealer representation across the US and Canadian market. For all other inquiries for other regions/states not listed and provinces in Canada, please contact us directly at Tractive Power Corp.